Restoring balance to gut flora. 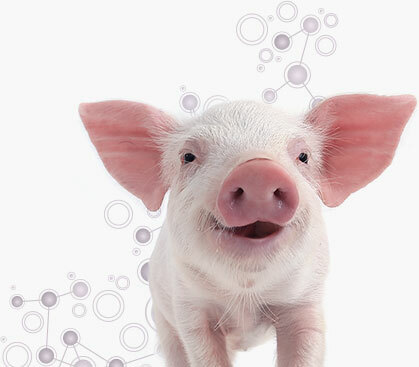 Nuvio meets Raised Without Antibiotics (RWA) requirements for most production standards, and can easily be targeted to desired animals by way of the animal’s drinking water. 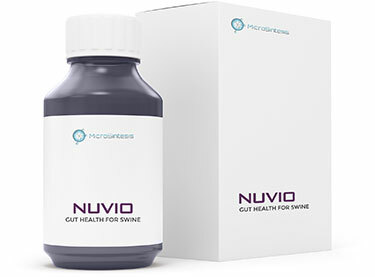 Nuvio provides natural beneficial contributions to the microflora of the gut which may be disrupted by diet changes or disease. The information above does not constitute a medical claim. You should conduct your own tests to determine the suitability of our products for your own specific cases. The information contained herein is based on our own research and to our knowledge is reliable. Statements contained herein should not be considered as, and do not constitute a warranty of any kind, expressed or implied, and no liability is accepted for the infringement of any patents. © 2017 MicroSintesis. All rights reserved.